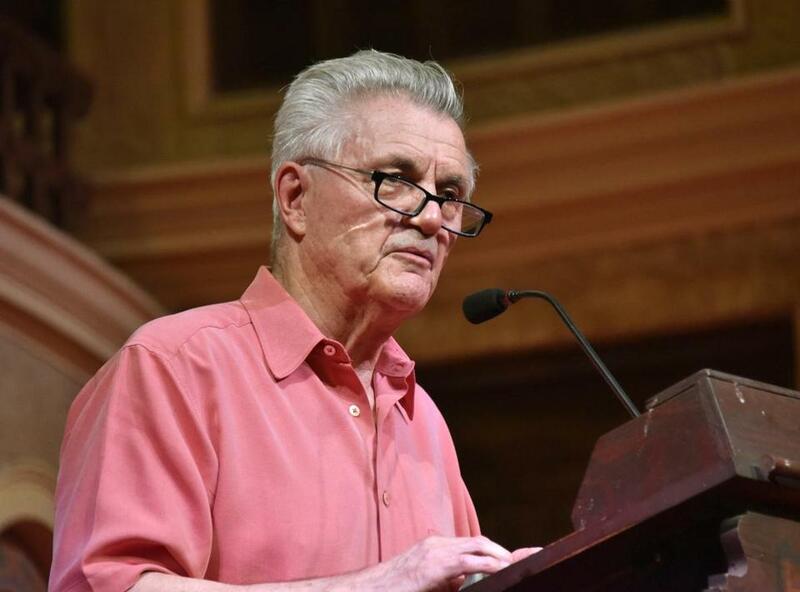 John Irving (shown in 2016) is this year’s winner of a lifetime achievement award celebrating literature’s power to foster peace. Traces the life of financially and romantically troubled grad student Fred “Bogus” Trumper from his New England childhood (Exeter Academy, Irving’s alma mater, figures in here and in several of his books), through study in Vienna, Iowa, and finally New York. A dark satire of the sexual revolution told through the tale of two couples (among them a writer and a wrestling coach) in a New England college town who try their hand at swinging. Shadowy, comic, coming-of-age saga of writer T.S. Garp, son of feminist leader Jenny Fields, that features infidelity, boys schools, wrestling, and a trans woman bodyguard who was a former pro-football player. Quirky saga of Win and Mary Berry, their kids, Frank, Franny, John, Lilly, and Egg, two Hotel New Hampshires (one in the namesake state and the other in Vienna), pet bears, and a pal named Freud. Life gets pretty thorny in early-20th-century rural Maine for Dr. Wilbur Larch, orphanage director, ether addict, and abortionist, and Homer Wells, one of his charges who is never adopted. Set in 1950s and 1960s New Hampshire, the story of two boys, Owen Meany and Johnny Wheelwright, through the death of Johnny’s mother from an errant baseball hit by Owen and Johnny’s growing belief in the divinity of his friend. Winner of a 2013 Lambda Literary Award, this novel trails bisexual narrator Billy Dean as he wrestles with his sexual identity from his Vermont boyhood through decades of crushes, compulsions, and couplings.